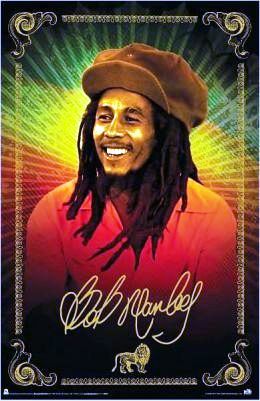 This Marley poster is a portrait of Bob Marley wearing a floppy hat with rasta colors that radiate out from the background. The approximate poster size is 24" x 36". Officially licensed Bob Marley merchandise.